Having instant access to monitoring your battery level is critical, especially when you're traveling or forget your charger at home. You need to know how much juice you have so you can adapt accordingly. 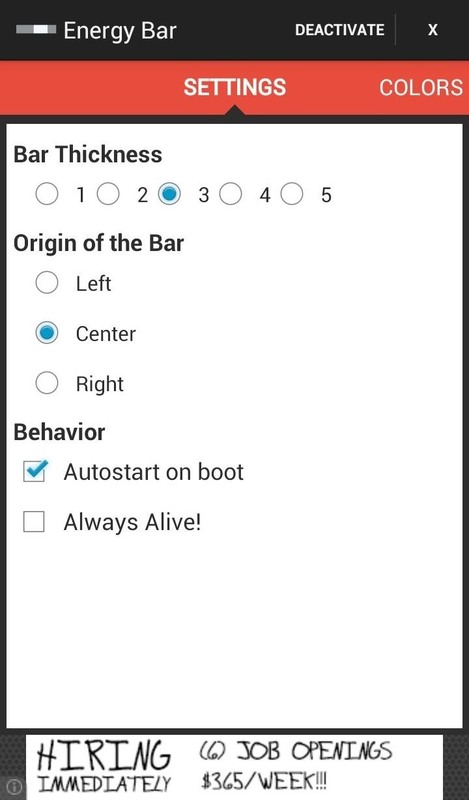 If you have the featured enable on your Samsung Galaxy S3, you can quickly glance at the Status bar to see the exact percentage left, but to me, it just makes things more cluttered up there. If you're rooted, you can easily remove the green battery icon to make room for the percentage indicator, but again—you need root access for that. 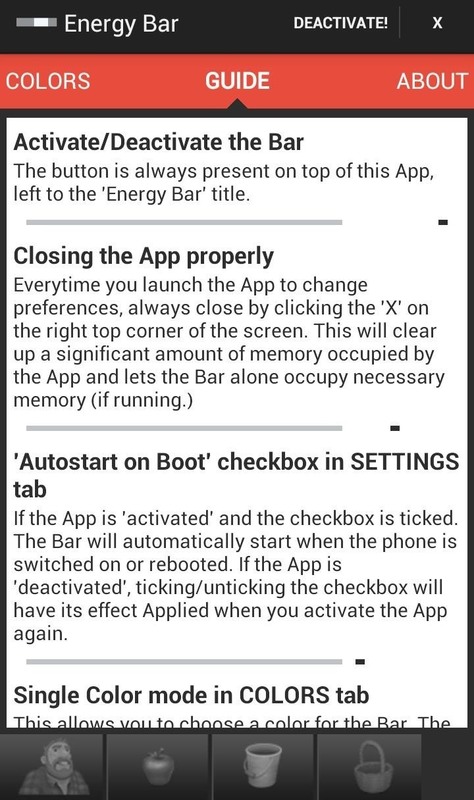 If you don't want to root and still want a better way to check your battery levels in the Status bar, I've got just the thing for you—Energy Bar—from Android dev Jagatheesan Pillai. 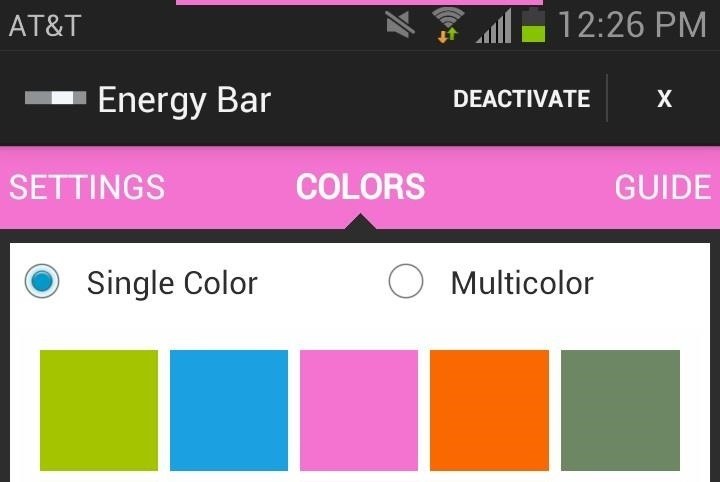 Energy Bar adds an adjustable beam to the top of the Status bar to indicate the current battery level. 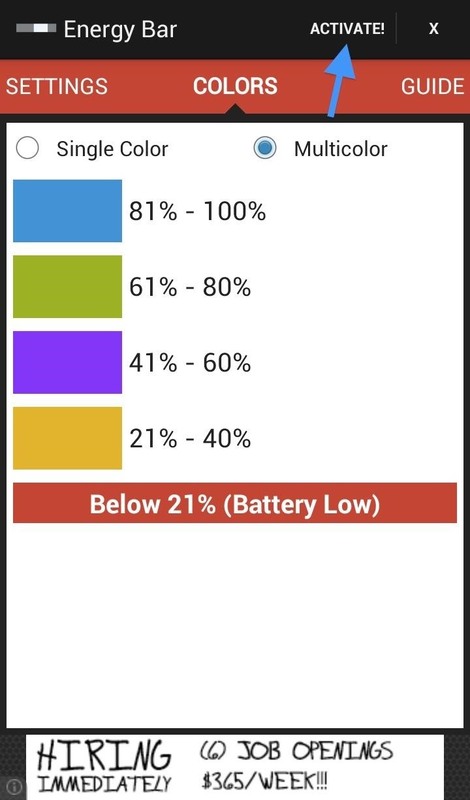 So, when you phone is at 20 percent, a red bar could be set up to let you know your battery's getting low. The setup couldn't be easier. Just open Energy Bar, choose your bar thickness and location, and hit "Activate". 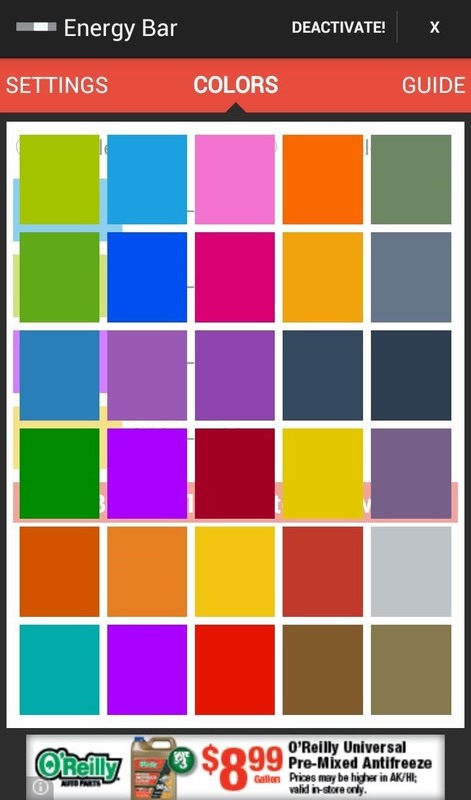 If you want to change the colors to something else, just select the color box and choose from the pop-up window full of different color options. The "Always Alive!" option will place an ongoing notification in your pull-down menu to ensure that the app isn't killed off by another process. In my experience, leaving it uncheck is fine, but in case you want to leave it checked, you can easily get rid of the ongoing notification with a simple root mod. You can also check out the guide for more information on what the app does and how it works, but it's all fairly basic. As you can see below, I've set my bar to max thickness (5) with "Center" alignment, so it will shorten from the edges as my battery level decreases. Now you can just glance up at your phone and know your battery percentage at a glance. Cool beans right? The free app is ad-supported with banners, but of course, we here at softModder have a few tools to fix that, so removing those pesky ads is a cinch.